Oculus have found themselves in a curious position. With the backing of Facebook, they’re not only able to produce the hardware to push VR into the mainstream, but the platform to sell its games. They’re not interested in locking down VR development, though. Oculus might have the tools to become a Sony or Microsoft – but “that’s not what we’re gonna do”. Rift inventor Palmer Luckey told PCGamesN that developers wouldn’t need Oculus VR’s “approval” to get a dev kit. Oculus VR of product Nate Mitchell acknowledged that makeshift download centreOculus Share constituted a degree of curation by the company – but that it was more for the benefit of developers than players. Luckey agreed that Oculus were yet to make “all the decisions” about the company’s role in controlling Oculus’ app store – but pointed out that Rift developers were already selling their games on alternative platforms. 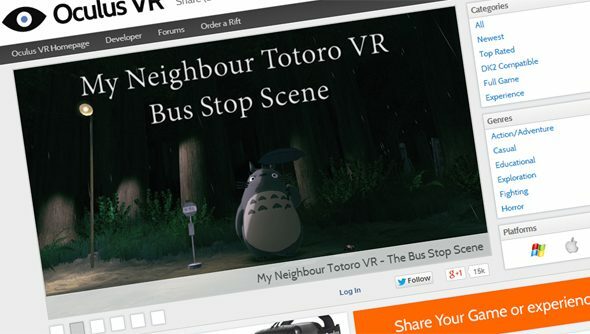 “Right now today, people are selling VR games through Steam,” said Luckey. “We have zero control over it. VR games are already being sold, we’re not going to lock it down. We’re not curating it. Where do you want to be able to buy your Rift games in this rapidly-approaching future?